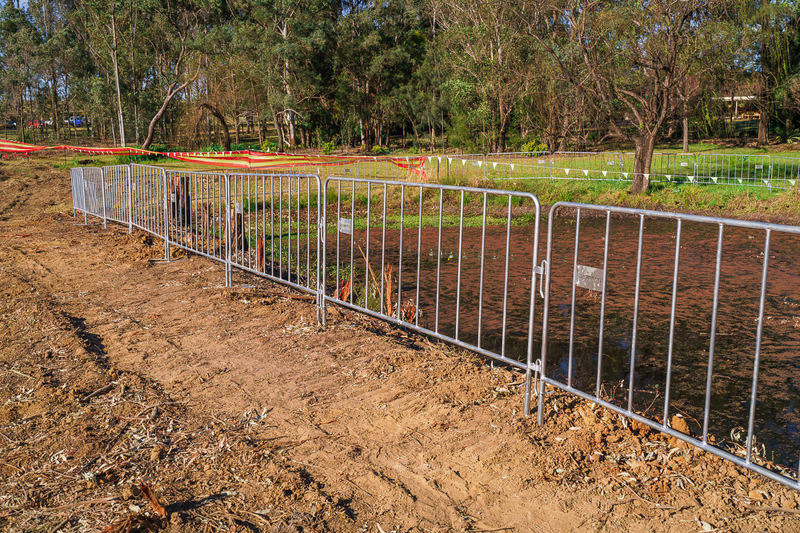 Interlocking and free standing, ideal for civil & construction projects and public events. 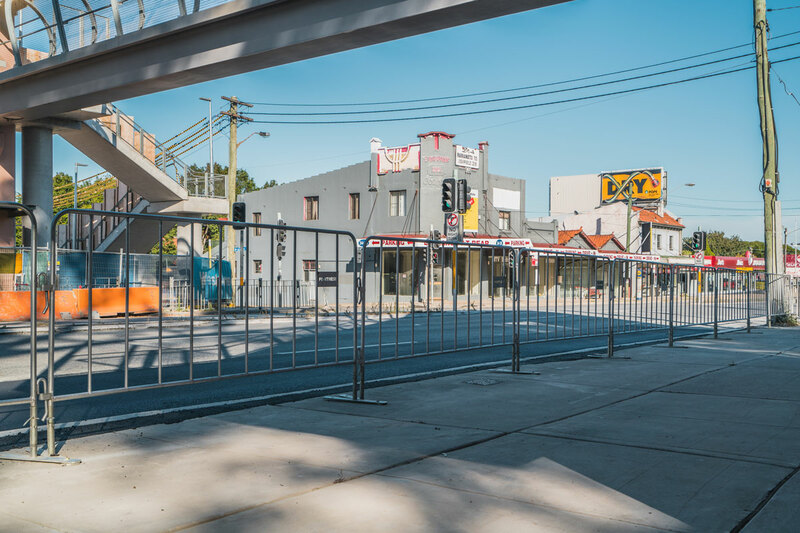 The sturdy design of our crowd control barriers, durable galvanised finish and bolt-down feet makes this the ideal choice in temporary crowd control. 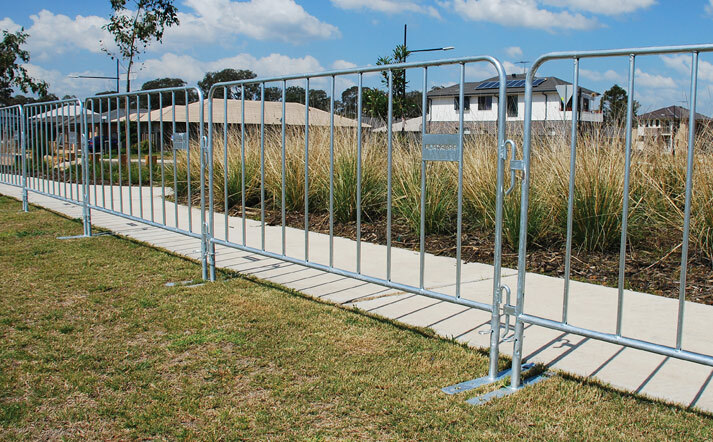 Fortress Fencing steel crowd control barriers feature dual interlocking hinges. 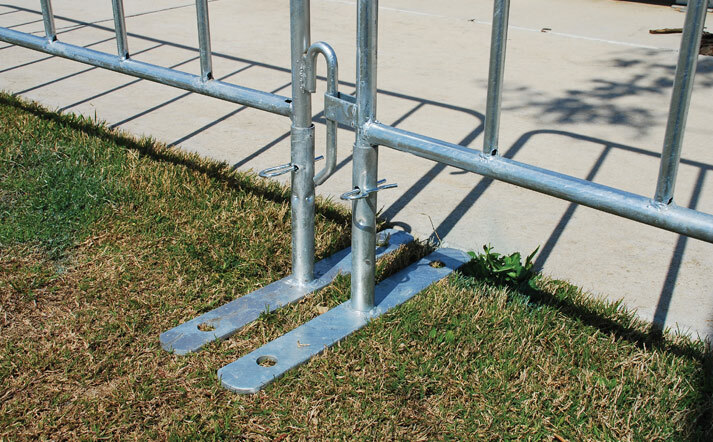 They are one of the only barriers on the market to feature these hinge points: this makes them one of the sturdiest barriers available on the market. Our fast mounting, interlocking system makes installation a breeze and our panels also offer removable feet. 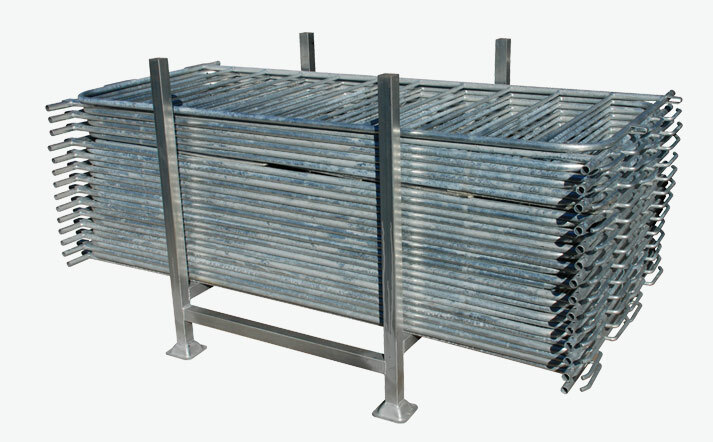 Once the feet are removed, stacking and storing the panels is simple. The low intrusion flat feet help to prevent trip hazards. The feet also come with pre-drilled holes for bolt-down installations. 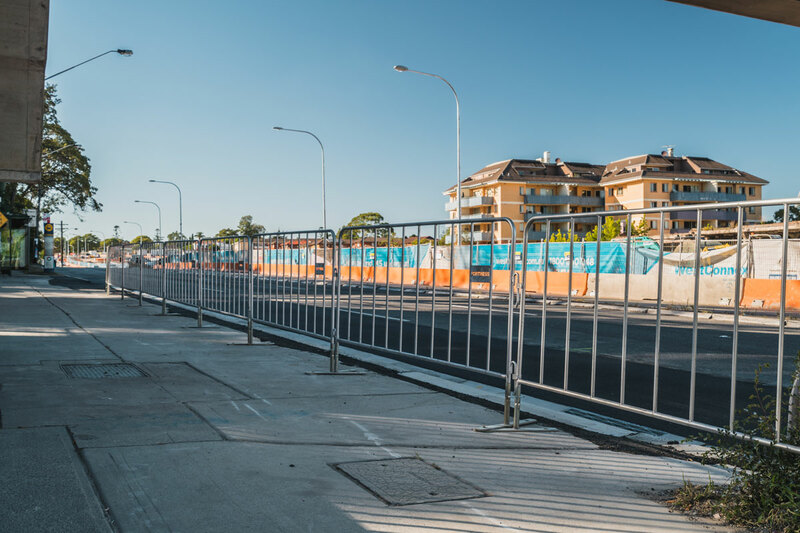 This helps to ensure you meet your OH&S requirements, whilst providing the greatest safety to workers and pedestrians. 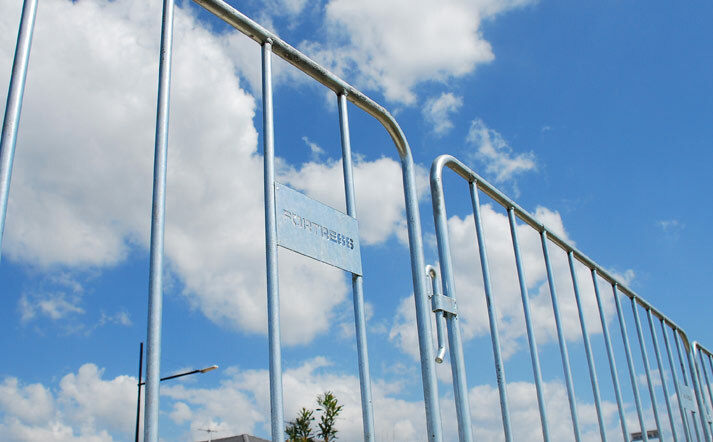 The Fortress Fencing crowd control barrier is available in two fully welded finishes. 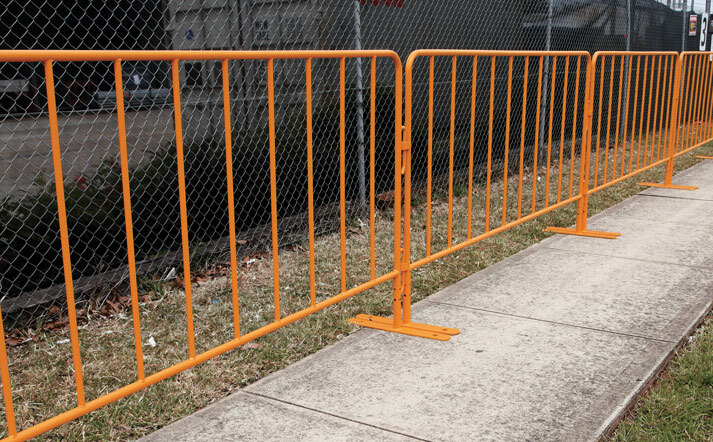 Choose from galvanized steel barriers, and highly visible orange powder-coated steel barriers. Feet are also available separately should you need to replace any old or damaged units. 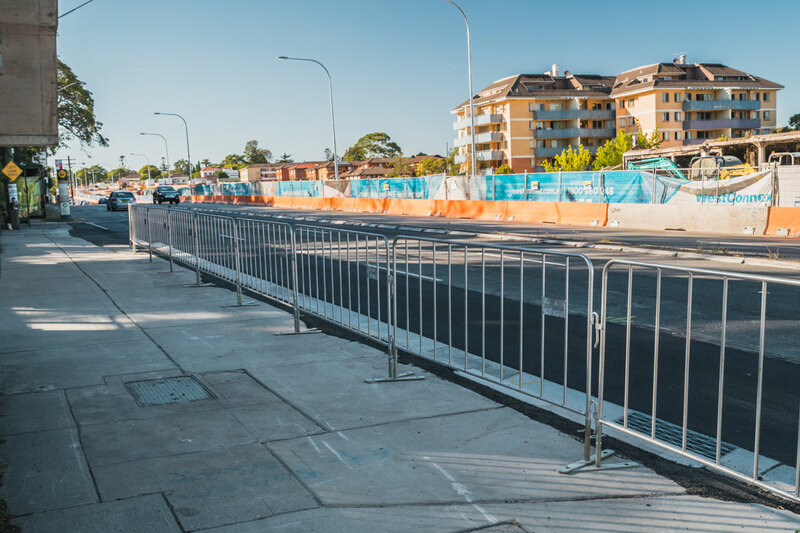 Fortress Fencing can brand these crowd control barricades as well - this offers an extra professional look as well as deterring theft. For high visibility applications such as night or tunnel work, we recommend the bright orange powdercoat finish. 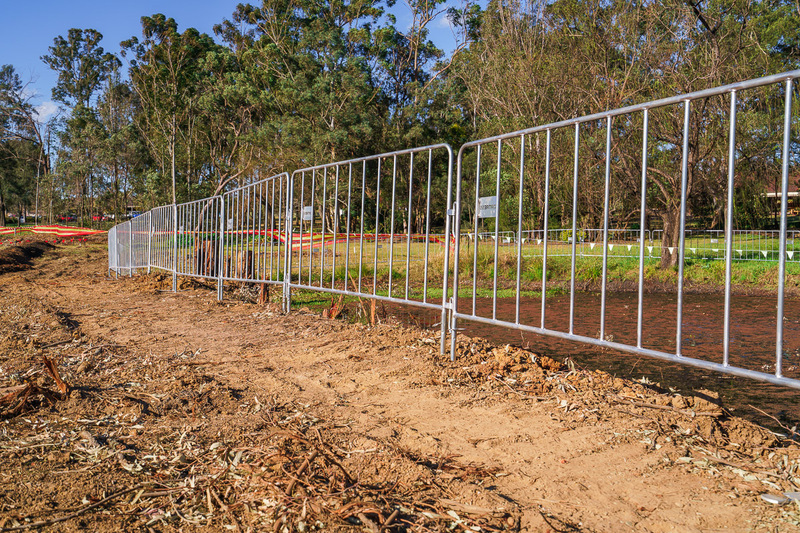 Use your Fortress Fencing crowd control barriers a few times and you'll soon find that owning them presents a better investment than hiring!